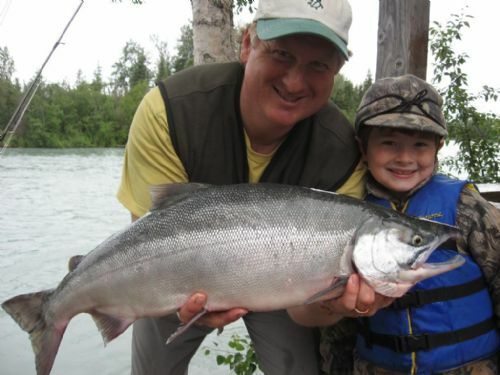 The shores that Kenai Riverfront Resort calls home are also home to over ONE MILLION Red Salmon that swim by each year enroute to spawning grounds in the Kenai River system. 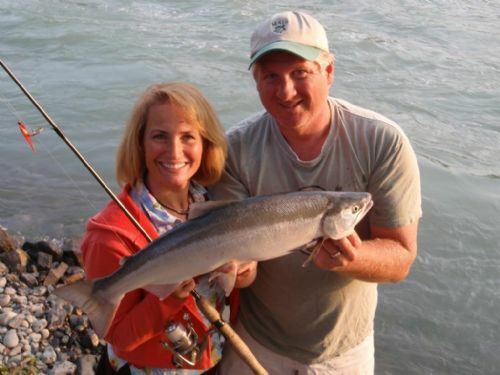 Our guests enjoy unequalled access to these Sockeye Salmon on our rocky shoreline that the Reds hug as they swim by. 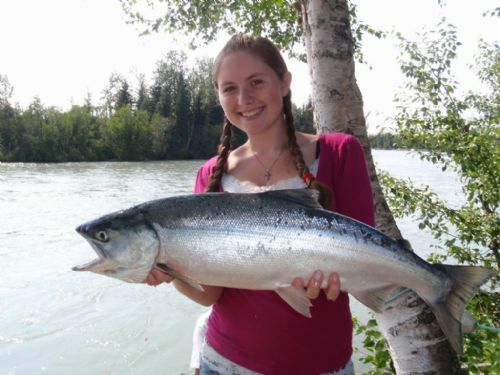 The Red Salmon are literally running at your feet as you try not to overcast them, and their fighting power makes you think you've hooked a monster each and every time as they jump again and again out of the water! 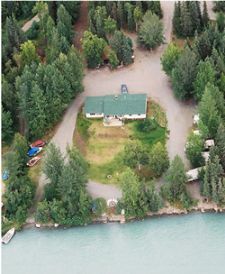 Our river bank is reserved exclusively for our guests. 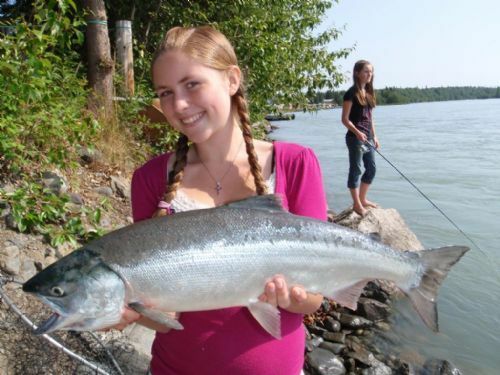 Even during the peak of the Red Salmon run, there is always room for everyone to fish. 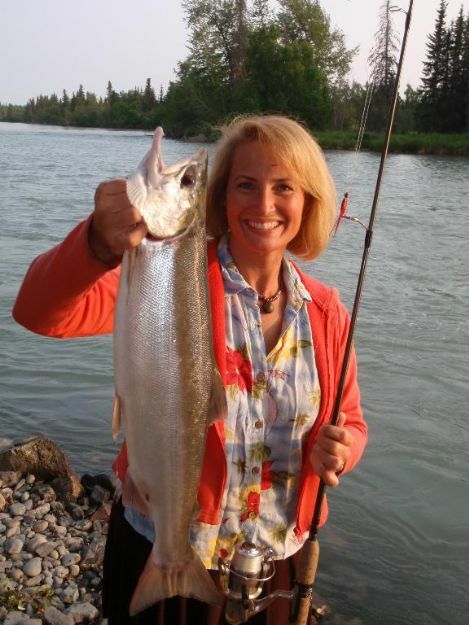 You'll never find over crowded combat fishing on our shore like you do at the public access areas on the Kenai River and well known Russian River. 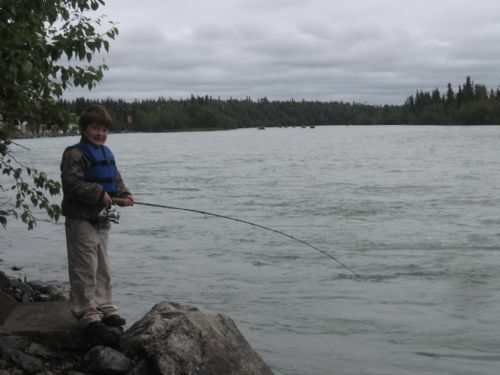 Instead, you'll find friendly folks that enjoy fishing just like you do, happy to lend a hand with a net, and share fishing stories at the cleaning table or campfire. 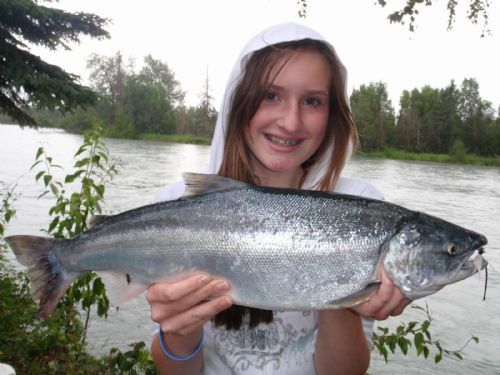 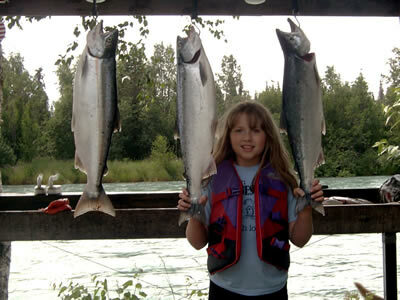 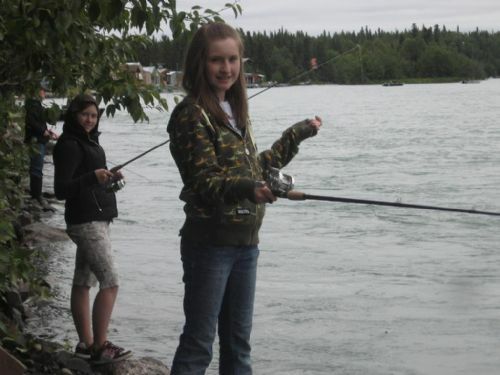 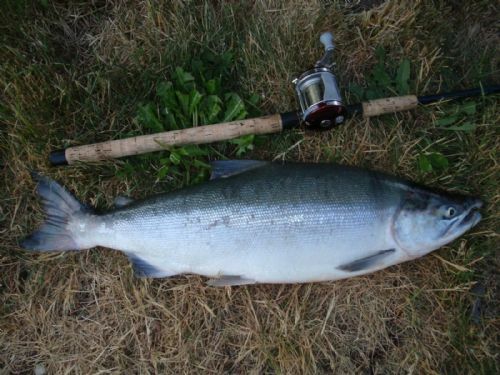 Relax...and enjoy fishing the way it was meant to be at Kenai Riverfront Resort. 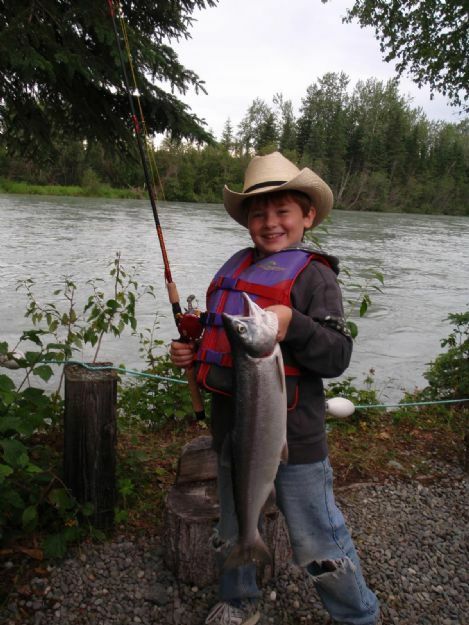 See YOU on the Riverfront Soon!